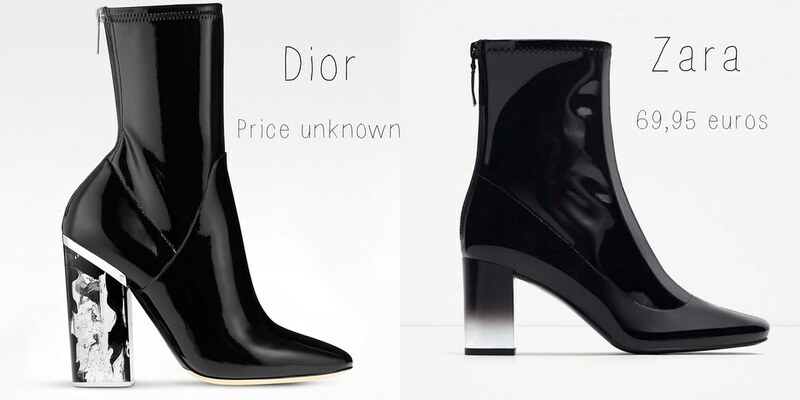 It's been a while since the last Money VS Budget post, but when I saw these black patent ankle boots with translucent heel at Zara, they immediately reminded me of the boots starring in the Dior Fall '15 fashion show. I couldn't find any prices on the Dior boots; they weren't mentioned on their website. So I guess it's best to visit a Dior store if you want to go for the real deal. For more info about the Dior boots, go to their website or to your nearest Dior store. You can shop the Zara boots on their website. © Images via the Dior and Zara websites. Collage by Shark Attack - Fashion Blog. That these beautiful shoes and I like the proposal of Zara. I have a feeling the price will be sky high as wel, lol. Haha, I feel you, sister! These are cute! I like Zara♥♥. I like Zara as well! Aww, thank you! So sweet! Aww, that's so sweet of you! Thank you! I'll definitely stop by your blog as well. Event // Urban Decay Comes To Brussels!